VATICAN CITY (CNS) — For peace in the family, community and nation, people need to recognize their faults and ask forgiveness, Pope Francis told thousands of pilgrims, including hundreds of soldiers, sailors and police officers from around the world. 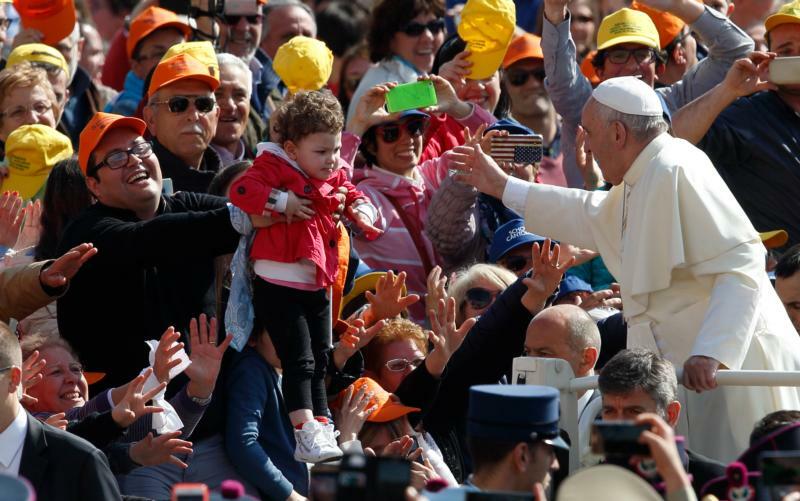 “In your families, in the various areas where you work, be instruments of reconciliation, builders of bridges and sowers of peace,” the pope told the police and military attending his Year of Mercy audience April 30 in St. Peter’s Square. Most of the military and police participating in the special Holy Year pilgrimage were from Italy, but in his remarks to English-speakers, the pope also greeted uniformed representatives from the United States, Canada, Kenya, South Korea and the Philippines as well. In his main audience talk, the pope told pilgrims that people often act as if God moves away from them when they sin, but in fact it is the sinner who is moving away from God. “He, seeing us in danger, comes looking for us even more,” the pope said. The Year of Mercy, Pope Francis explained, is a time for people to turn back to God, knowing that he is always ready to forgive. As he does frequently, the pope pleaded with priests to be welcoming and patient in confession, recognizing just how hard it is for many people to face their sins and acknowledge their need for forgiveness. Pope Francis told the crowd at the audience that once they experience reconciliation with God, they should look around them and see where else they need reconciliation, particularly if there are tensions within their families. “This year is the year of reconciliation with God and among us,” he said.